Visible signs of aging often result in the development of jowls, sagging skin, and bands on the neck. These signs of aging are typically caused by weak tissues and muscles as well as a loss of the elastic property of the skin. For patients with an aged neck appearance, Dr. Kao performs his specialty Limited Incision "Massai" Neck Lift for dramatic yet natural results. Who Can Benefit From a Limited Incision "Massai" Neck Lift? 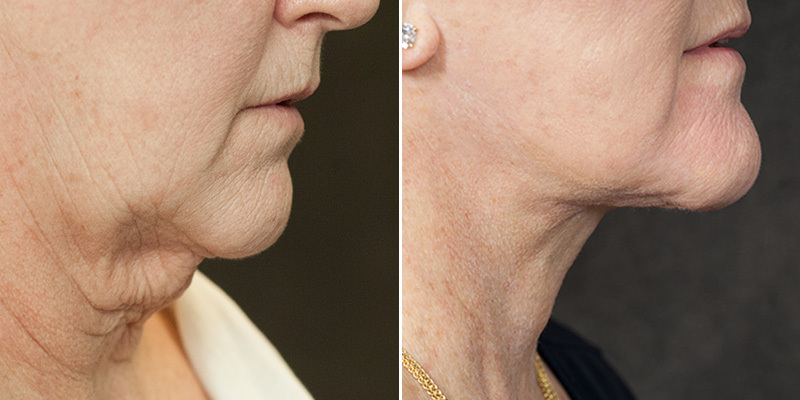 Losing weight, especially in the face, can leave you with sagging skin along the neck. This loose submental skin can contribute to an undefined, unattractive facial shape. Dr. Kao’s specialty neck lift procedure can help slim your neck, restoring a more beautiful look. Some people are more prone to localized laxity than others. Even if you aren’t older and have never been overweight, you may find that your neck looks and feels loose. 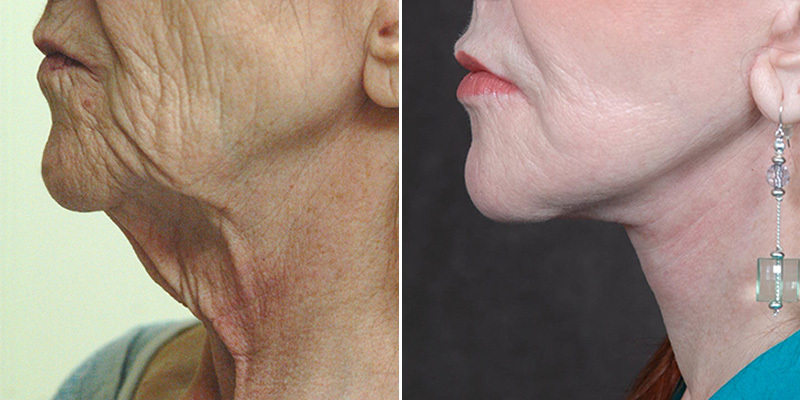 Dr. Kao can tighten the neck, improving its overall shape and enhancing your profile. Many people will find that their neck begins to sag as they get older, which only ages their appearance and robs them of jawline definition. Dr. Kao contours the neckline by keeping the natural flow from the jaw down to the chest, achieving a more youthful appearance. Limited Incision "Massai" Neck Lift is designed to provide the same dramatic results as a traditional neck lift but without unnatural distortion and scarring. Traditional neck lifts place the incisions in front or behind the tragus (the little piece of cartilage in front of the ear), which causes the tissues to pull mostly horizontally, distorting the tragus, shortening or elevating the sideburns, revealing a scar, and often resulting in an unnatural look. Also, traditional neck lifts typically only dissect down to the Adam’s apple to tighten the jawline, but they do not address the laxity at the base of the neck or the décolletage area. With the appropriate patients, Dr. Kao performs his Limited Incision "Massai" Neck Lift and avoids placing an incision in front of or behind the tragus to prevent all visible scarring. He places a fine, secondary incision discreetly under the chin. With the use of the endoscope, he then dissects the tissues all the way down to the clavicle and all the way to the posterior neck to tighten and lift the skin of the décolletage. Dr. Kao’s technique provides a continuous flow of tightness of the skin from the chest to the jawline. After separating the skin and fat from the neck muscle, he redistributes the fat to ensure it is equal in thickness. Dr. Kao then performs an anterior neck plication to tighten the neck muscles and eliminate neck bands. He performs a posterior neck corset, which he developed in 2015, to reduce the circumference of the neck and make it appear longer and skinnier. Through the chin incision, Dr. Kao performs contouring of the deep structures of the neck, which is critical in creating a youthful appearance. He removes fat that is hidden under the muscle that is often missed, contours the deep muscle of the neck, and tightens it to create definition. If the submandibular glands are enlarged, Dr. Kao will reduce them to create a crisp jawline. He then tightens and sutures the neck muscles together to correct the appearance of vertical neck bands. Some excess tissue may be trimmed away as necessary, and what remains is draped to highlight the new contour of the neck. Dr. Kao closes all incisions by burying his sutures to prevent scarring, and he places drains for five days to control swelling. Dr. Kao’s Limited Incision "Massai" Neck Lift with anterior neck plication and posterior corset provides the neck with a thinner, elongated appearance. Dr. Kao’s uniquely designed Ponytail Facelift™ includes the Limited Incision "Massai" Neck Lift to address aging below the jawline. The Ponytail Facelift™ refreshes and transforms your entire facial appearance with minimal incisions. In addition to the Limited Incision "Massai" Neck Lift, the Ponytail Facelift™ includes an endoscopic jowl lift to enhance the definition of the jawline. Facial detailing can also be combined to improve the tone and texture of your skin so you achieve full facial rejuvenation from top to bottom. All of Dr. Kao’s patients are given the option of staying at an aftercare facility following their procedure. Serenity is a post-surgical care facility situated just across the street from Dr. Kao’s surgical facility, located in a federal and state-licensed healthcare center. You will experience some bruising and swelling following your surgery, and resting with your head elevated for several days post-surgery is required. Many patients return to work within seven to 10 days of their procedure. You will need to limit your strenuous physical activities for up to four weeks. By six weeks, most major swelling should have subsided, and your results will become final. Dr. Kao places incisions and utilizes suturing techniques to minimize any excess scarring, which is what sets his face and neck procedures apart from other surgeons. The cost of your Limited Incision “Massai” Neck Lift will vary depending on the technique used, surgical fees, facility fees, and anesthesia fees. A detailed price will be provided during your consultation. You are likely to experience some discomfort during your initial recovery period, which can be controlled using an oral pain medication. What type of anesthesia is used during Limited Incision "Massai" Neck Lift surgery? Dr. Kao performs Limited Incision “Massai” Neck Lift surgery with the patient under propofol sedation or, rarely, general anesthesia. 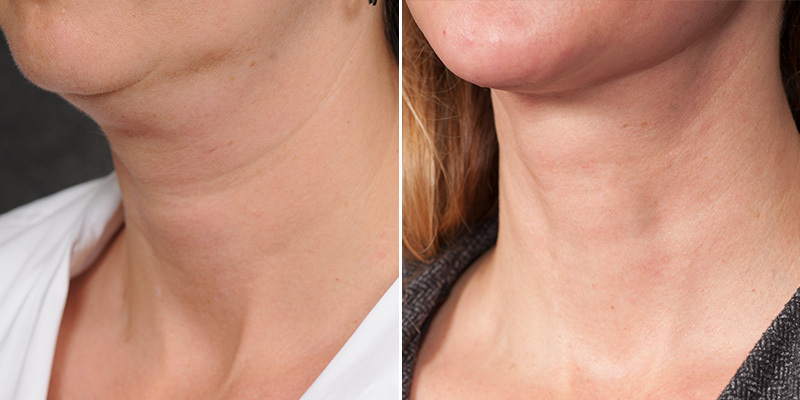 Who is a good candidate for a Limited Incision "Massai" Neck Lift? Dr. Kao may recommend a neck lift if you have loose skin around the jowls, sagging skin around the neck, or excess fat under the chin. Should I have a Ponytail Lift™? How long will my Limited Incision "Massai" Neck Lift results last? Limited Incision “Massai” Neck Lift provides long-lasting restoration for your facial appearance. While it doesn’t stop the aging process, most people notice they age at a much slower and more natural rate.